We thing we have learnt about Priyanka Chopra and Nick Jonas is that they don’t like wasting time one bit. After a whirlwind romance and a surprise engagement, wedding bells are ringing for them. Much to the excitement and delight of their fans, they keep us updated by posting their pictures on social media and indulging in good old Public Display of Affection. So, guess what they did this weekend? They took off to a wedding chapel in Las Vegas and posed with a bouquet of flowers from right outside the chapel. Such a tell-tale sign of the upcoming wedding ceremony, no? And we won’t be even surprised if they have already tied a knot, because come on its Vegas, baby, Vegas! 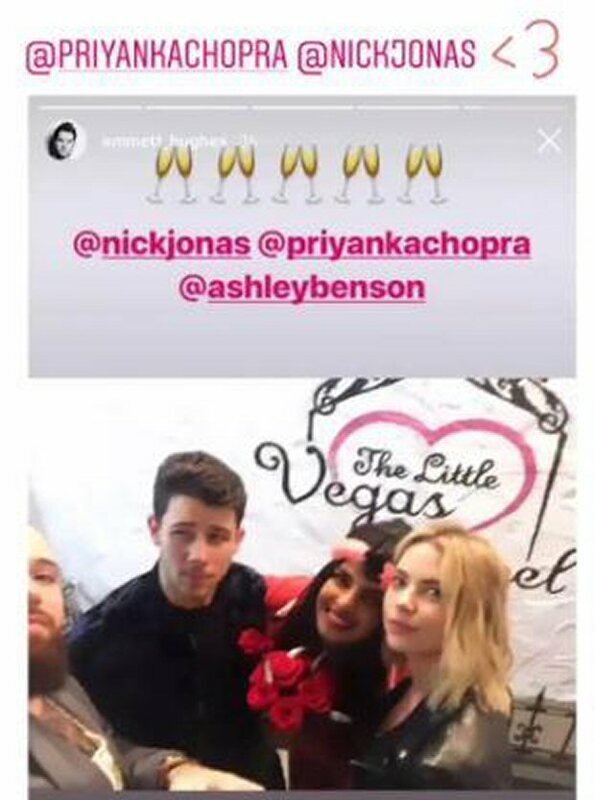 But no, it is not what you think because both PC and Nick were in Las Vegas for fulfilling a professional commitment and happened to visit the chapel with their friends. It most probably is a Desi wedding for our globetrotting Desi Girl. Only recently the two were seen doing rounds of Jodhpur palace and the inside sources claimed that they were there for reiki before their wedding. Yesterday, even Deepika Padukone and Ranveer Singh took to social media to announce their wedding happening on November 14 and 15. This private ceremony will mostly be held outside India, at Lake Como in Italy according to our exclusive sources. The wedding season has officially begun and it sure is an exciting time for those rooting for these celeb couples on social media and otherwise. On professional front, Priyanka Chopra will be seen in The Sky Is Pink with Farhan Akhtar and Zaira Wasim. The London of the Shonali Bose directorial has just wrapped last week. Also Read: SCOOP: Both Priyanka Chopra and Deepika Padukone to MARRY in November?